Golar reported yesterday a 3Q 2017 operating loss of $22.9 million as compared to a 2Q 2017 loss of $24.0 million. A pick-up in utilization toward the end of the quarter resulted in a small rise in time charter revenues which increased $1.0 million to $25.0 million in 3Q 2017. Voyage expenses increased from $11.8 million in 2Q 2017 to $13.1 million in 3Q 2017, with the increase largely attributable to repositioning and cool-down costs for the Golar Tundra which departed Ghana in September and prepared for service as an LNG carrier. As a result of higher fleet management and general vessel maintenance costs, vessel operating expenses increased $1.7 million to $13.8 million in 3Q 2017. Administration and depreciation and amortization costs at $11.0 million and $17.4 million, respectively, were in line with 2Q 2017. · Operating Loss and EBITDA* in the quarter reported a loss of $22.9 million and $5.5 million, respectively, compared to a 2Q 2017 loss of $24.0 million and $6.6 million, respectively. · Committed to sell an interest in the FLNG Hilli Episeyo (“Hilli”) to Golar LNG Partners (“Golar Partners”). · Iain Ross appointed as CEO. Golar Partners closes a Series A Preferred Unit offering raising net proceeds of $134 million. Golar Partners issues first 50% of Incentive Distribution Right reset Earn-Out Units to Golar. LNG shipping market shows solid signs of recovery in 4Q. FLNG Hilli on site in Cameroon with production expected to commence shortly. * EBITDA is defined as operating loss before interest, tax, depreciation and amortization. EBITDA is a non-GAAP financial measure. A non-GAAP financial measure is generally defined by the Securities and Exchange Commission as one that purports to measure historical or future financial performance, financial position or cash flows, but excludes or includes amounts that would not be so adjusted in the most comparable U.S. GAAP measure. We have presented EBITDA as we believe it provides useful information to investors because it is a basis upon which we measure our operations and efficiency. EBITDA is not a measure of our financial performance under U.S. GAAP and should not be construed as an alternative to net income (loss) or other financial measures presented in accordance with U.S. GAAP. Golar reports today a 3Q 2017 operating loss of $22.9 million as compared to a 2Q 2017 loss of $24.0 million. A pick-up in utilization toward the end of the quarter resulted in a small rise in time charter revenues which increased $1.0 million to $25.0 million in 3Q 2017. Voyage expenses increased from $11.8 million in 2Q 2017 to $13.1 million in 3Q 2017, with the increase largely attributable to repositioning and cool-down costs for the Golar Tundra which departed Ghana in September and prepared for service as an LNG carrier. · The $7.1 million decrease in interest expense is the result of an adjustment to reflect capitalization of deemed interest of $7.4 million in connection with Golar’s equity investment in Golar Power. This has been partly offset by additional interest charges as a result of an increase in LIBOR. · Other financial items reported 3Q 2017 income of $4.4 million. This non-cash income was derived from a mark-to-market gain on the three million Total Return Swap (“TRS”) shares following a $0.36 quarter-on-quarter increase in the Company’s share price, an increase in swap rates resulting in mark-to-market interest rate swap gains and a $2.5 million mark-to-market gain on the IDR Earn-Out Units derivative. – income of $1.1 million in respect of Golar’s stake in Golar Partners. Golar Partners reported a substantial drop in 3Q 2017 net income, primarily due to recognition of the Golar Spirit termination fee in 2Q 2017 and the loss of earnings from this FSRU post June 23, 2017. Golar’s $8.4 million 3Q 2017 share of net earnings in the Partnership is offset by amortization, principally of the fair value gain on deconsolidation of Golar Partners, currently equivalent to $7.3 million. At $12.9 million, the quarterly cash distribution received from the Partnership is in line with prior quarters. The shipping market recovery is underway. Shipping demand has exceeded supply growth for the first time since 2013. Demand growth has been supported by a combination of additional liquefaction volumes and rising ton miles. Eight liquefaction trains with nameplate capacity of 34 million tons that commenced operations in 2016 continue to ramp up. A further six trains including Sabine Pass T4 and Wheatstone and Yamal T1 with a collective nameplate capacity of 28 million tons have commenced operations during 2017 to date. Start-up of the 5 million ton Cove Point facility is anticipated around year-end. 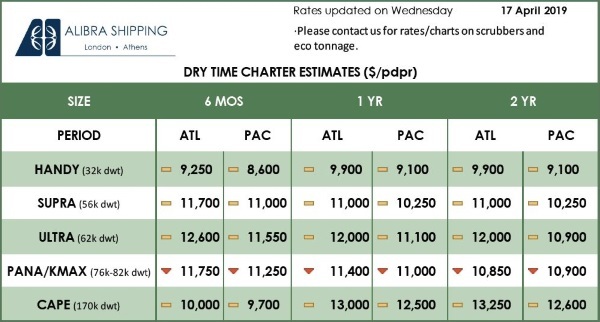 After four years of declining ton miles, the advent of US volumes and the commencement of contracts with their Far Eastern off-takers are also contributing to rising sailing distances. Year to September 2017 ton miles increased 10% relative to 2016. This upward trajectory should continue given that new 2018-2021 liquefaction will be dominated by US volumes. During September vessels began to pull out of the spot market to service dedicated volumes. Rising LNG prices in the East in response to significant demand from China and Korea also resulted in additional arbitrage opportunities and ton miles as more US volumes headed further eastward. Approximately 1.9 vessels are required to carry US volumes to Asia, more than twice the number required to deliver Australian volumes. Spot rates have steadily increased from 2-year highs in early October to 3-year highs today with sentiment continuing to improve as we move into peak winter gas demand. LNG prices have also surprised to the upside. Current JKM prices at around $9.80 per mmbtu compare to $7.10 this time last year. Similarly, European prices of $7.70 compare to $5.90 last year. The increase in Asia has, to a large extent, been driven by very strong Chinese demand where year to October imports are up approximately 48%, to 29 million tons. 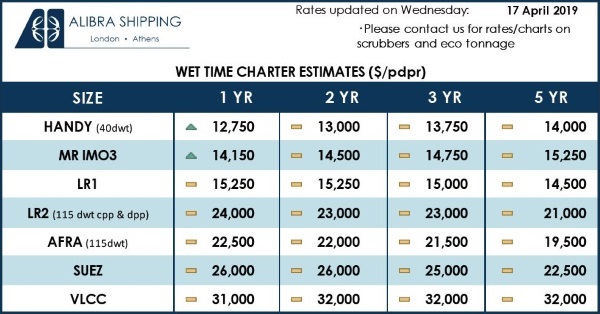 Looking to 2018, around 45 vessels are scheduled for delivery, equivalent to 10% of the current fleet. This compares to more than 12% expected production growth for the year. Growth in ton miles is expected to further tighten the market and this sentiment is translating into a notable increase in enquiries for term charters. On August 15, 2017, Golar entered into a Purchase and Sale Agreement (“PSA”) with Golar Partners for the sale of equity interests in the Hilli. The sold interests represent the equivalent of 50% of the two liquefaction trains, out of four, that have been contracted to Perenco Cameroon SA (“Perenco”) and Societe Nationale Des Hydrocarbures (“SNH”) for an eight-year term. The sold interest includes a 5% stake in any future incremental earnings generated by the currently uncontracted expansion capacity, but does not include exposure to the oil linked component of Hilli’s current revenue stream. The agreed sale price was $658 million less net lease obligations under the vessel financing facility that are expected to be between $468 and $480 million, which represents 50% of the Hilli post-delivery facility. Concurrent with execution of the PSA, the Partnership paid a $70 million deposit to Golar, on which the Partnership receives interest at a rate of 5% per annum. Closing of the sale is expected to take place on or before April 30, 2018. On October 24, 2017, the Partnership priced a 4.8 million $25.0 per unit 8.75% Series A Preferred Unit offering. After exercise of the Underwriters Option for a further 0.72 million units, net proceeds received at closing on October 31, 2017 amounted to approximately $134 million. This capital raising positions the Partnership to acquire additional assets from Golar. On October 31, 2017, Golar’s obligation to sub-charter the Golar Grand from the Partnership expired. From November 1, 2017, all daily hire from the vessel’s oil major charterer accrues to the Partnership. Having paid the minimum quarterly distribution in respect of each of the four preceding quarters ended September 30, 2017, the Incentive Distribution Right (“IDR”) Exchange Agreement required that the Partnership issue to Golar 50% of the Earn-Out Units withheld at the time of the IDR reset in October 2016. Accordingly, on November 16, 2017, Golar Partners issued to Golar 374,295 common units and 7,639 General Partner units. The agreement also required the Partnership to pay Golar the distributions that it would have been entitled to receive on these units in respect of each of those four preceding quarters. Therefore, concurrent with the issuance of the above Earn-Out Units, Golar also received $0.9 million in cash. The Partnership will issue the remaining 50% of the Earn-Out Units in 4Q 2018, provided that it has paid a distribution equivalent to $0.5775 for each of the four quarters up to September 30, 2018. As of today, Golar owns 21,226,586 common units and 1,420,870 General Partner units in the Partnership which in total have a current market value of approximately $470 million. The Hilli conversion and pre-commissioning is now complete. The vessel departed Keppel Shipyard on October 1, 2017 and left Singapore for Cameroon with 108 crew on board on October 12, 2017. The Hilli arrived in Cameroon on November 20, 2017 and hook-up and connection to risers and umbilicals is now underway. The next period will see tendering of a Notice of Readiness, which triggers commissioning rate toll fees. A ship-to-ship transfer of LNG for commissioning purposes will be undertaken followed by commencement of the full commissioning process. As part of this process, Golar anticipates production of first commercial LNG to take place around year end. Final commissioning is expected to complete during the second half of 1Q 2018 and the project remains well within budget. The Mark II FEED study, a key pre-requisite to reaching a Final Investment Decision (“FID”) on the four 3.2mtpa FLNG unit US Gulf Coast Delfin LNG project is continuing on schedule and is on track to complete at the end of 1Q 2018. On August 21, 2017, the Fortuna project participants agreed the LNG sales structure and selected Gunvor Group Ltd. (“Gunvor”) as preferred off-taker. Principal commercial terms have been agreed with Gunvor for a sale and purchase agreement covering 1.1mtpa of LNG over a 10-year term. The LNG will be sold on a Brent-linked FOB basis. For two years immediately following FID the LNG offtake structure also permits the Fortuna project participants to market the remaining 1.1mtpa to higher priced gas markets. The sellers also have the option to put up to 1.1mtpa to Gunvor at a price lower than the firm price, exercisable during the two year period following FID. On October 2, 2017, Fortuna project partner Ophir awarded an upstream construction contract to Subsea Integration Alliance, a partnership between OneSubsea, a Schlumberger company, and Subsea 7. The award is structured as an engineering, procurement, construction, installation and commissioning (“EPCIC”) contract for the sub-sea umbilicals, risers and flowlines and for the sub-sea production systems scope of work. The EPCIC schedule is consistent with the planned delivery of first gas in 2021, and work will commence after FID. With the Umbrella Agreement approved, a preferred off-taker and offtake structure agreed, and EPC and EPCIC contracts for midstream and upstream infrastructure now in place, the critical outstanding requirement for full FID remains financing. Progress has been made on bank and alternative financing approaches over the last month. Based on the solid economics of this project, the Board expects to approve a FID in the first part of 2018. OneLNG is making very good progress with its remaining portfolio of FLNG projects and expects further projects to be concluded during 2018. Development of the power project in Sergipe is progressing according to plan. A full financing package for the project is on track to close in 1Q 2018. There are now more than 1,200 workers on the ground with civil and earthworks nearing completion. Turbine, transformer and heat recovery steam generation modules are scheduled for delivery to site during 1Q 2018. Sapura Energy have been engaged in an EPCI contract for offshore works. Golar Power’s agreement to provide the Sergipe project with an FSRU for 25-years has also been formalized in the form of a Time Charter Party and Operating Services Agreement for the Golar Nanook, the effectiveness of each being subject to financial close. The vessel remains on track for a September 2018 yard delivery ahead of commencement of commissioning activities offshore Sergipe in early-mid 2019. Several projects have been targeted for the FSRU conversion candidate Golar Celsius and yards are being shortlisted for the conversion project. 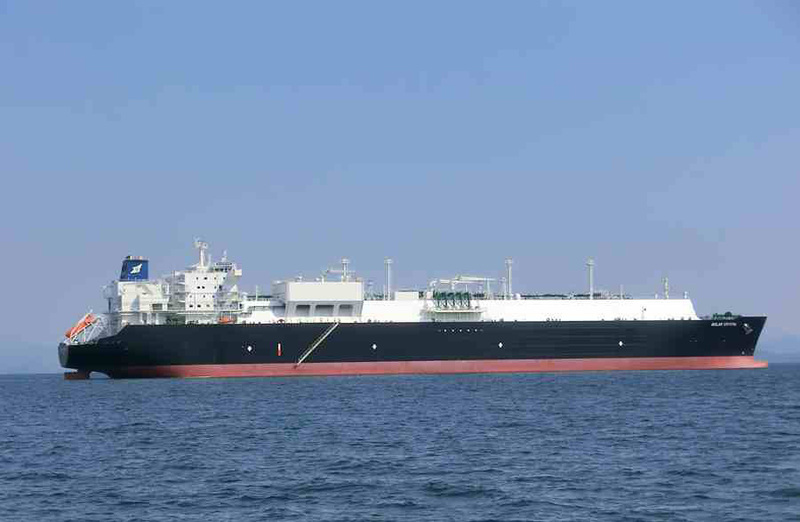 The standalone FSRU market remains highly competitive and challenging. Golar is therefore focusing on more profitable integrated gas to power projects where barriers to entry are higher. The Hilli remains well within budget. As at September 30, 2017, $912.1 million has been incurred ($1,032.1 million including the original vessel and capitalised interest). As of today, $525 million has been drawn against the CSSCL debt facility. A further $175 million is available to draw to meet remaining pre-acceptance costs and up to a further $260 million can be used for remaining bills and to augment liquidity after acceptance. Drawdown of this facility is likely to significantly improve Golar’s liquidity and investment capacity. An agreement has also been reached with Perenco and SNH to reduce the LC from $400 million to $300 million and this too is expected to release additional liquidity. Golar’s unrestricted cash position as at September 30, 2017 was $286.6 million. Discussions have been initiated with Golar Partners with respect to the possible dropdown of the second 50% of Hilli’s contracted capacity. The Partnership is financially well positioned for this following completion of its Series A Preferred Unit offering. Included within the $1,102.6 million current portion of long-term debt is $702.1 million relating to lessor-owned subsidiaries that Golar is required to consolidate in connection with seven sale and leaseback financed vessels. The Company’s underlying exposure is therefore $400.5 million. Of this, the majority relates to the Hilli CSSCL facility, which will be replaced by the pre-arranged $960 million sale and leaseback facility after vessel acceptance. On September 21, 2017, Iain Ross was appointed to replace interim CEO Oscar Spieler, who remains available in an advisory capacity to support the Hilli project. Iain joins Golar from project delivery firm WorleyParsons where he has held a wide range of Executive positions, most notable amongst them, responsibility for their global hydrocarbons, power, infrastructure and mining sectors. At Golar’s Annual General Meeting on September 27, 2017, Tor Olav Trøim was appointed Chairman, replacing Dan Rabun. Dan remains a Director of Golar. Michael Ashford, Golar’s Company Secretary, was also appointed as a Director, replacing Andrew Whalley. As at September 30, 2017, there were 101 million shares outstanding, including 3.0 million TRS shares that had an average price of $42.94 per share. There were also 4.2 million outstanding stock options in issue. The dividend will remain unchanged at $0.05 per share for the quarter. The Board is pleased with the transformation the company has undertaken since ordering FLNG Hilli in June 2014. Golar is currently going through a process that will see it transition from a mid-stream shipping company into a fully integrated gas to wire energy company. Supported by the successful execution of existing projects and contributions from key joint venture partners OneLNG and Golar Power, the project portfolio for the Golar group of companies continues to grow. This unique combination provides a differentiated and competitive value proposition in the gas to wire energy sector. As a result of the above, Golar is a company likely to increase its earnings significantly over the coming three years. These results will be underpinned by secured contracts currently in execution, further augmented by a strengthening shipping market and a solid portfolio of projects that are expected to translate into new contracts. The company looks forward to providing confirmation of the above over the forthcoming quarters. The Board recognizes the hard work invested in transforming Golar LNG into a fully integrated and uniquely positioned energy company, driven by a strong focus on technology and execution. The Board expects that this effort will translate into significant shareholder value as the various projects commence over the years ahead.